Today, [email protected], the body representing over 200 companies working within the ICT sector in the Cork region, launched the [email protected] Leaders Awards, an annual event recognising the best Cork’s thriving ICT community. [email protected] are inviting nominations from those who believe a tech company is worthy of recognition, to apply to be a part of the awards. The Awards, which are in their 12th year, are now open to applicants, with judging to take place in early October. It will culminate in a gala prize-giving ceremony to be held at the Rochestown Park Hotel on October 19th. Speaking at the launch Caroline O’Driscoll, Chairperson of [email protected]: “I have been involved in these awards for a number of years and every year the volume and calibre of applicant is growing. This is a testament to the thriving ICT cluster which has developed in the region, playing strongly in areas such as Cyber Security, Cloud, Data Analytics and IOT. 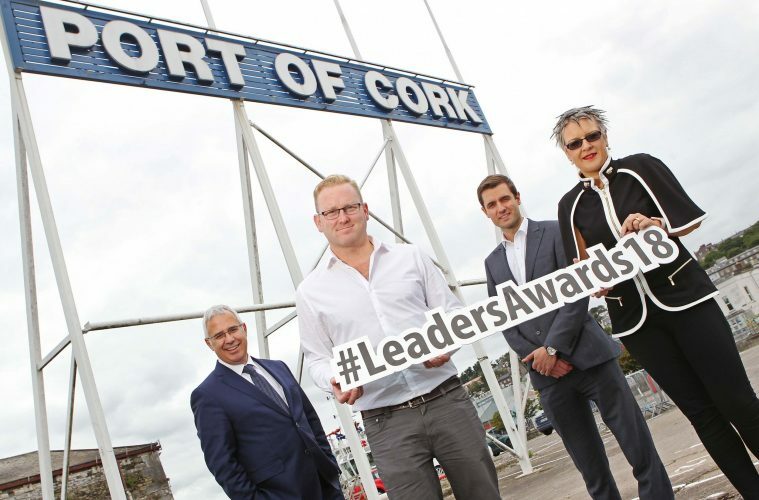 “From global multinationals to start-ups, as well as our innovative third level education sector, the Leader Awards recognise all those who have gone further than most in the use of technology in their respective organisations and businesses. “This year we are leveraging the great work done by Cork City Council on the “City Rising is a Beautiful Thing” campaign, to complement our theme. We are celebrating all that is great about ICT in Cork. With Cork set to become the fastest growing region under the Project 2040 plan, it is a place of opportunity and promise, particularly in ICT. In the last 5 years employment in the Cork’s Tech Sector has risen substantially, making it the largest source of foreign direct investment in the region. In total, there are currently over 300 ICT related companies employing more than 29,000 people in the region and the outlook for further growth in 2019 and beyond is very positive. We recently surveyed our own members found that a staggering 83% are forecasting employment growth in the next 3 years. “We have an exciting entrepreneur community innovating in new and emerging areas like AI, Blockchain and Fintech as well as an extremely responsive education sector. Not only does the region have the infrastructure and the talent to facilitate a strong ICT hub, Cork was also recently voted third friendliest city in the world – a compelling proposition! It is an exciting time to be in Cork, a region that will continue to play a pivotal role in the tech industry not just in Ireland, but in Europe”. “Winning last year was a highlight for myself and Dan. We were immensely proud of the award itself, the recognition it gave to the hard-working team at teamwork and the fact as it was voted on by fellow industry peers made it special. The judging panel will including expert industry representatives from Blizzard, PepsiCo, KPMG, VMware, Investec, Trend Micro, CIT, Qualcomm, National Software Centre, Cork BIC, Poppulo, Enterprise Ireland, Dell EMC, Cork County Council, Tyndall, Malwarebytes and Teamwork.